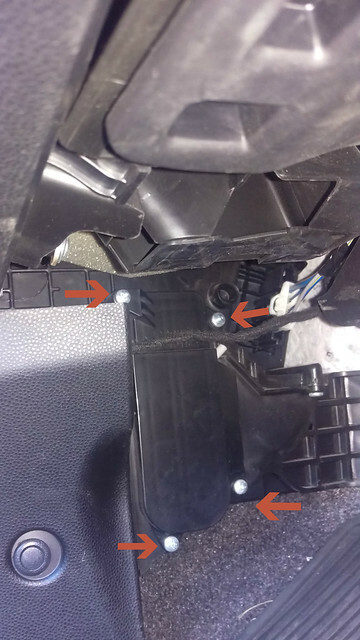 Four screws to take off the filter cover. In the passenger foot well. 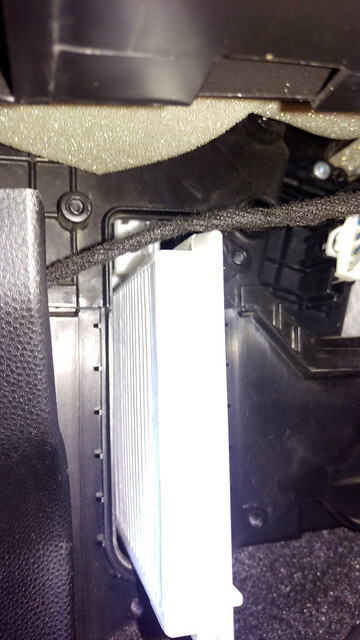 Glove box can optionally come off for better access. 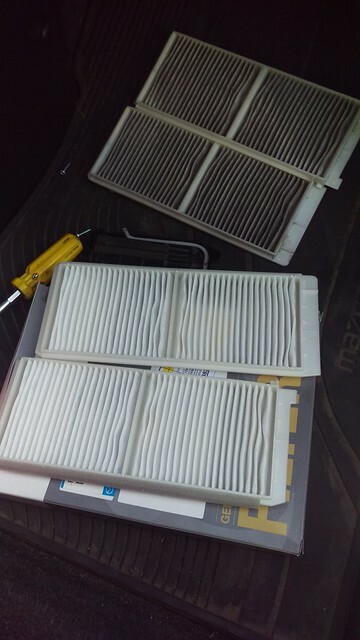 Old (60k kms) vs new filters. The first one goes in then has to slide up and held with next one is placed underneath. A little tricky in tight space but not too bad.